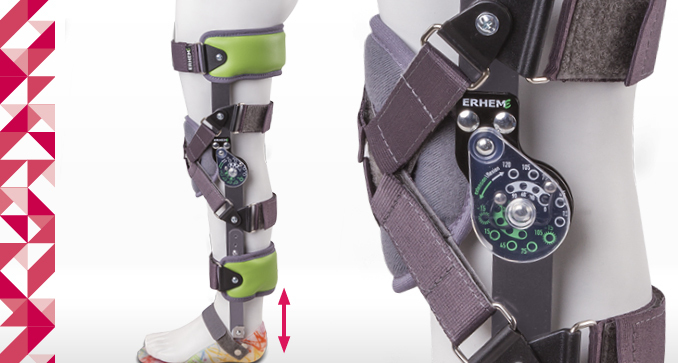 The orthosis is for children and youth. It enables the adoption of a stable seated or standing posture. The individual abilities of a patient decide about the stabilization of the trunk. 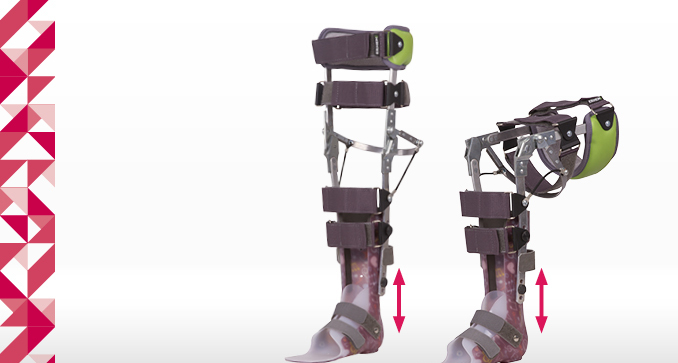 The modular design of orthotics enables the adjustment of its height. The apparatus enables stabilization of lower limbs, pelvis and trunk during getting a straight position and learning elements of walking. 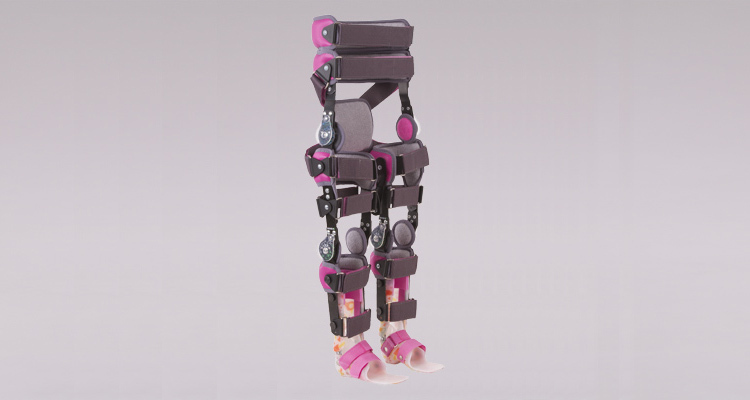 It is equipped with moveable hip, knee and ankle joint flexing mechanisms having possibility of total blockage and gradual unblocking according to rehabilitation process progress. 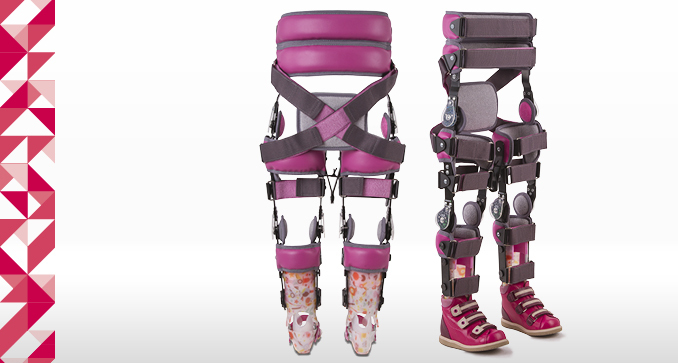 By regulation of hip and ankle joints splints length the exact adaptation of the brace to the child’s height is possible. The openwork construction and natural fabric, the apparatus is covered with, provide the light weight and comfort of using. 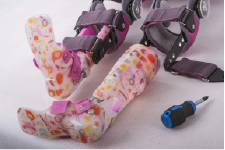 According to individual needs the brace provides: putting the foot with the shoe inside the orthosis increasing the supporting area or putting the anatomically profiled sandal into the shoe.